This one of a kind garage built ‘MINIATURE NOVA’ is one of the coolest things we have seen in a while! We saw this thing for sale on Craigslist and decided to track it down. Tube chassis car with fiberglass body and doors. Toyota 8 bolt rear diff, mustang front suspension, Kawasaki zx12r fuel injected engine and 6 speed transmission. Has room in rear fender well to fit a 26×14 tire. Super fast and tons of fun. Highlight every car show and cruise night. Run scca autocross or cruise it into a bike rally or just around town. 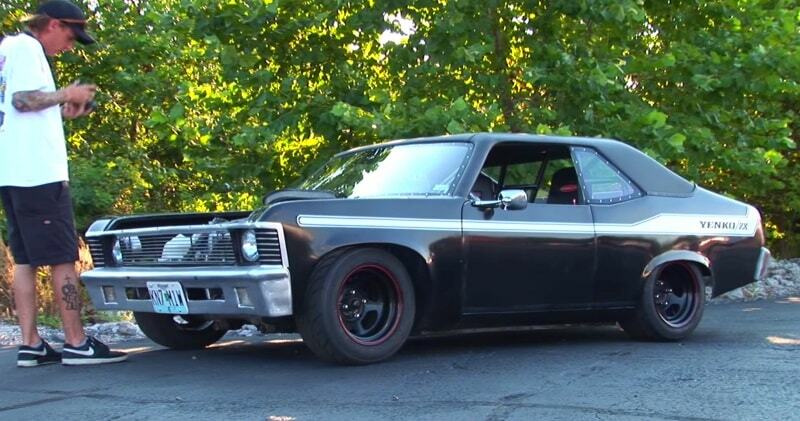 It looks pretty cool as is, but we think it’d be even cooler as a Murder Nova tribute with the weld wheels and fat tires out back! 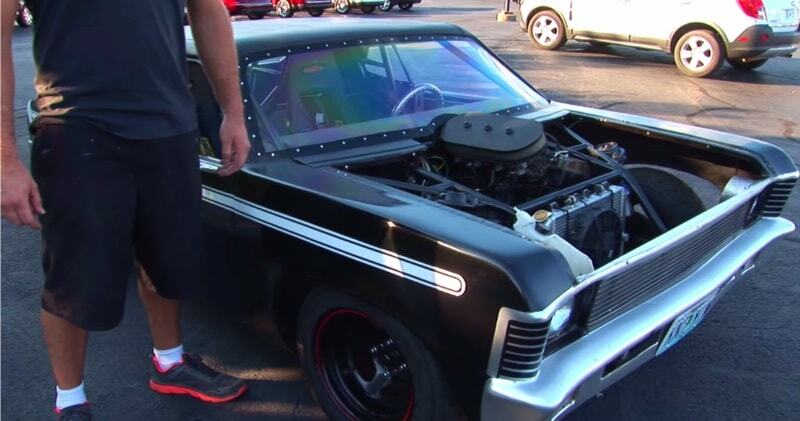 The owner claims that it is “super fast and tons of fun,” but we wonder what that really means. Somebody buy this thing and take it to your local strip please!185 horsepower may not sound like much, but with the lightweight fiberglass body and suspension, we’re sure this thing will get down the road no issue!